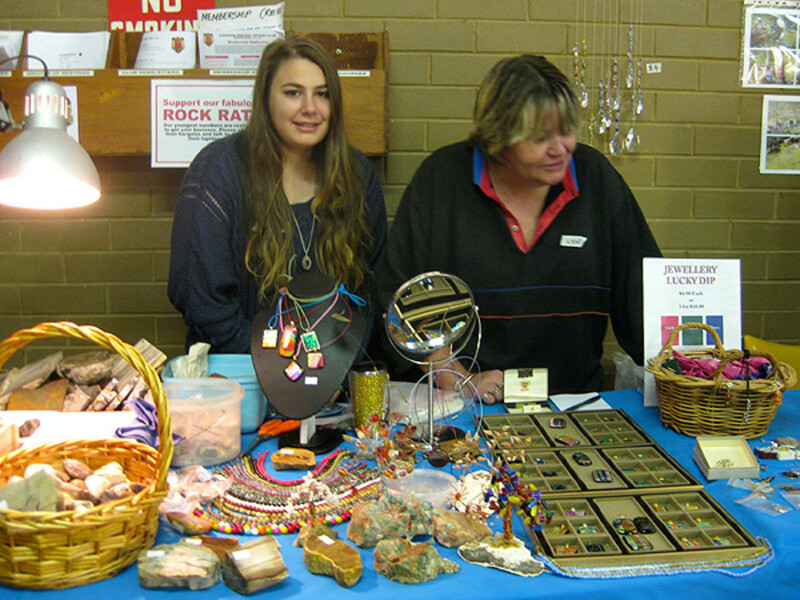 Every year, the Essendon Gem And Lapidary Club holds an annual exhibition in April. 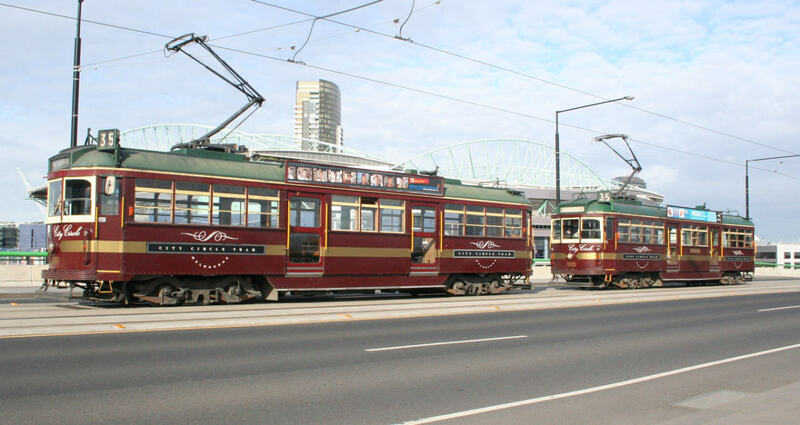 It’s a good afternoon out if you happen to be in Melbourne, Australia, because it’s great fun for the whole family, with interesting and novelty showcase displays, bargain gemstones and lapidary equipment for sale, demonstrations, car park fossicking and delightful homemade food on offer. 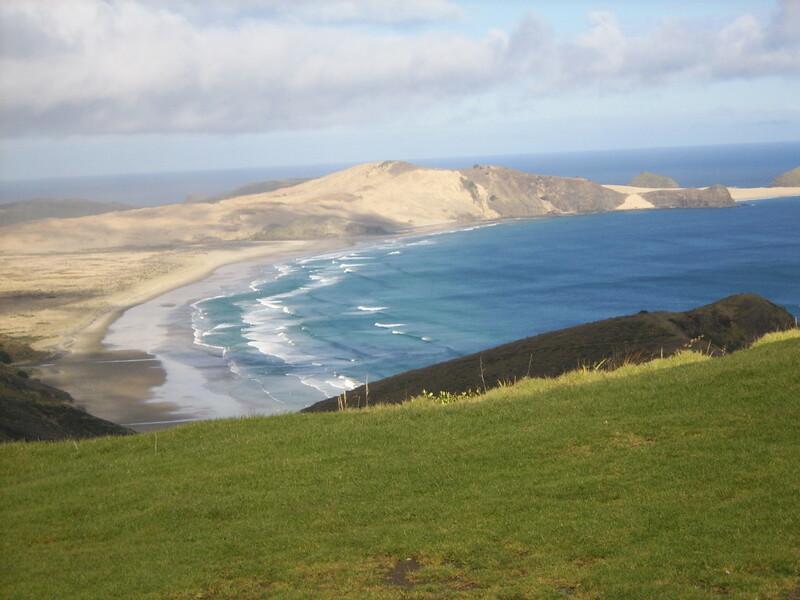 There’s quite a lot to look at and do and the entry price is very affordable at AU$3 per adult and AU$1 per child. 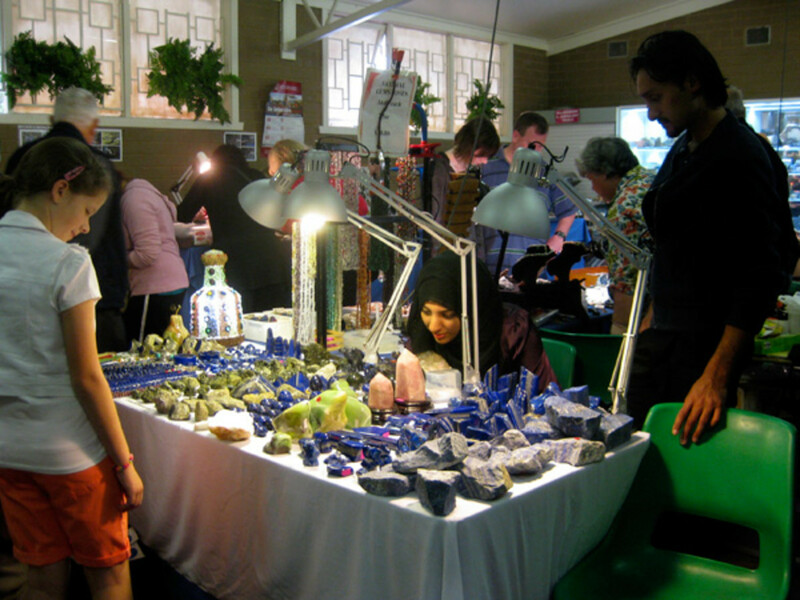 Lots of lapidary exhibitions are held around the country throughout the year, but the Essendon one encompasses the values of a small, friendly lapidary club with an interesting mix of characters and age groups. 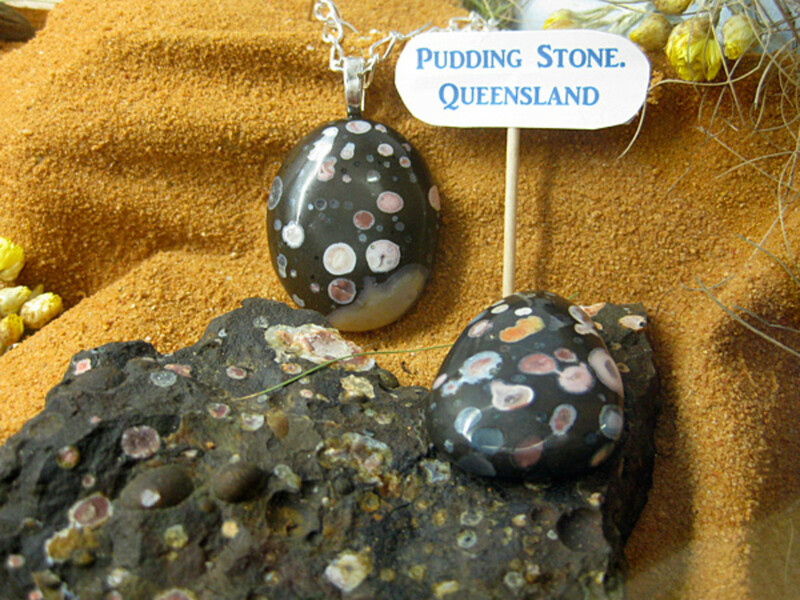 The retirees mix well with Gen Xers and Yers and everyone has a great sense of humour combined with a burning passion to find and create beautiful gemstones. 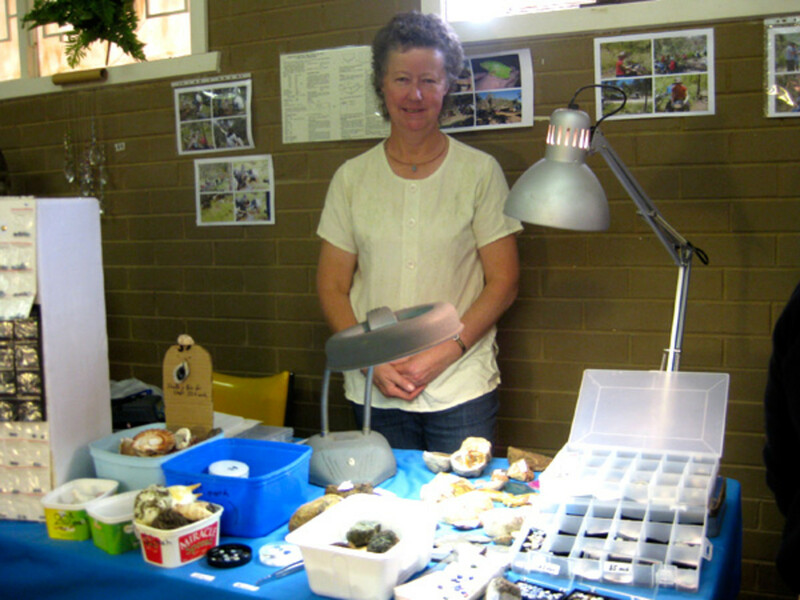 It's entertaining to hear about the Club's recent fossicking adventures and the members all seem to own large, colourful rock collections. 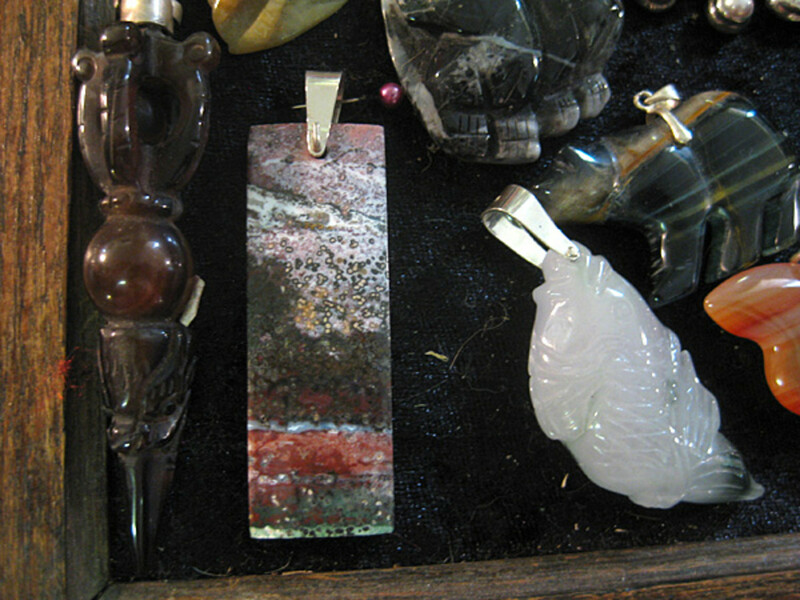 Every year, the Club shows displays of work created by Club members. 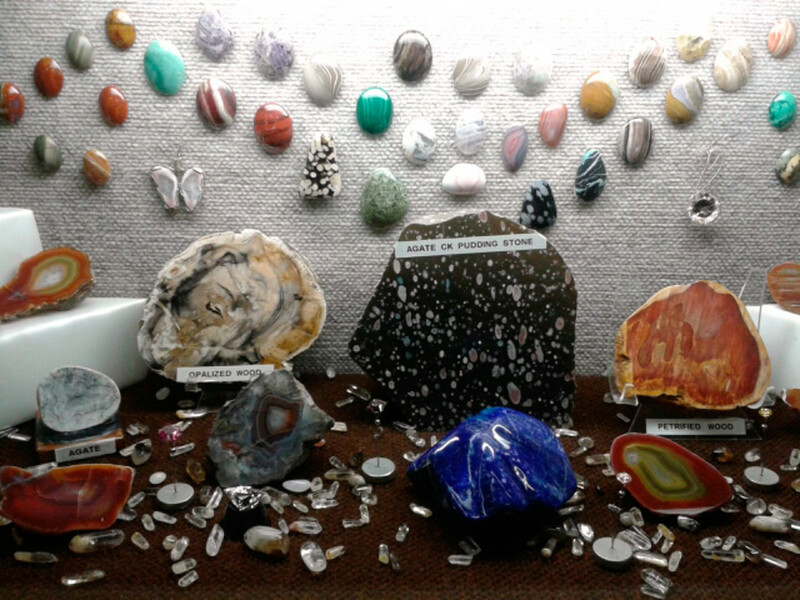 Some of these belong to lapidary and craft experts who have obviously enjoyed their hobby and others are novelty displays that will keep the kids amused while you peruse. 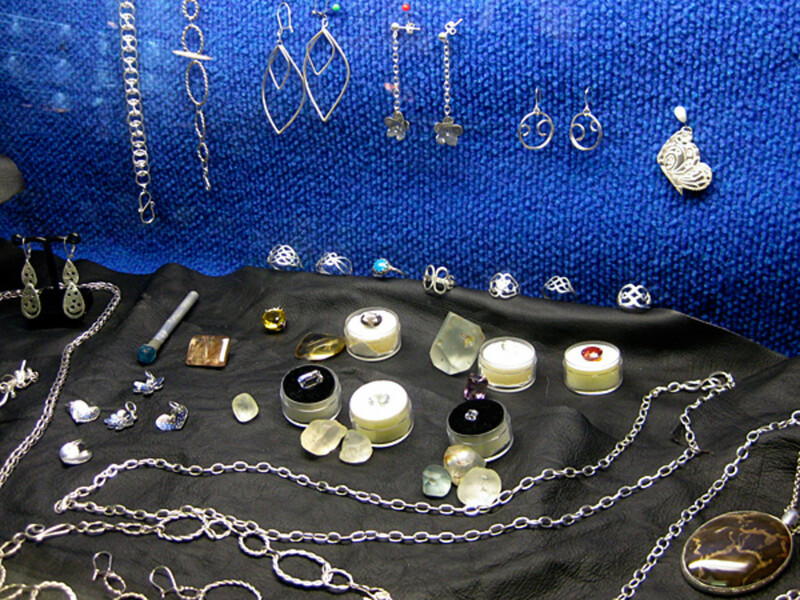 Each year, the showcases vary but there is usually a good variety of different crafts showcased that are offered by the Club (cabochon making, faceting, beadwork, glasswork, wire wrapping, silver work etc). It’s also a good opportunity to view work produced in new Club courses, before signing up for one. 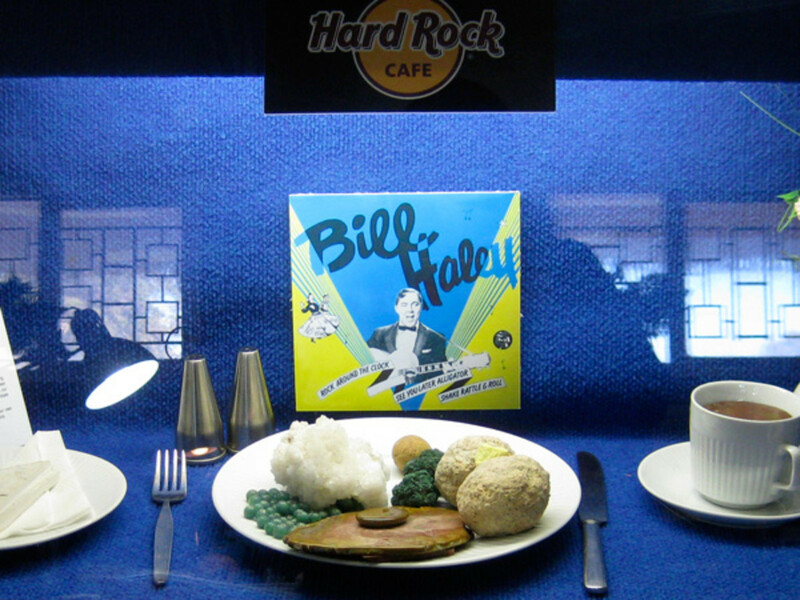 There is a "Best Showcase" Competition in the exhibition. 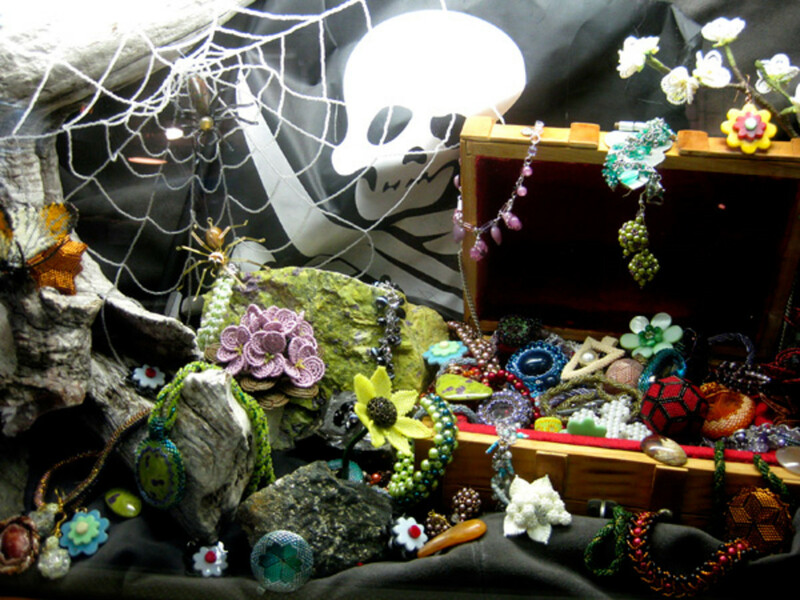 Rose’s beaded display case this year garnered lots of attention – the kids particularly enjoyed the spiderwebs and pirate theme. 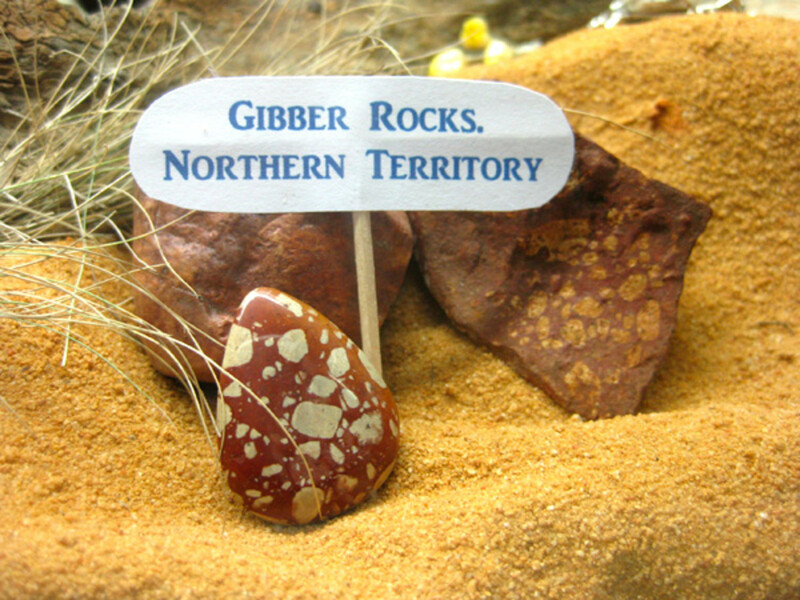 Another good showcase was the Australian rock and cabochon display, where bits of the Australian bush contained signposts to what the rocks were and where they were found. 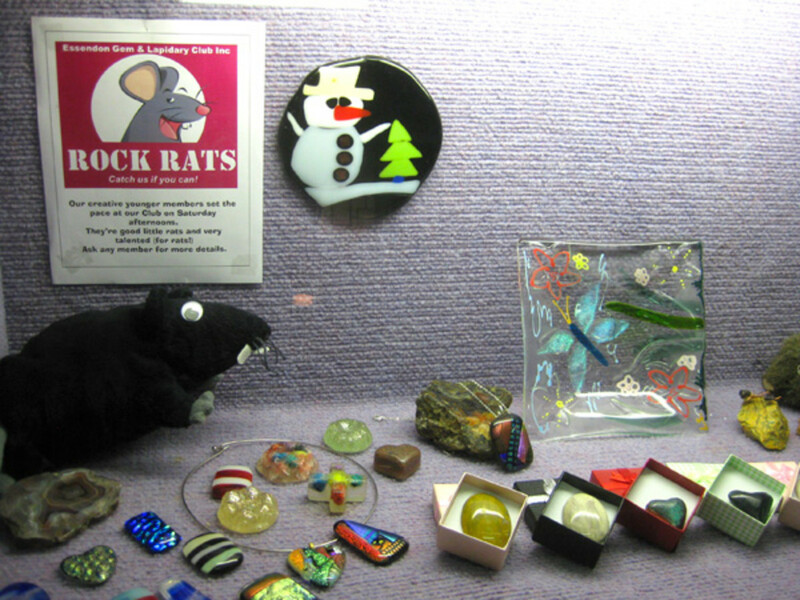 The Rock Rats showcase displayed lapidary work produced by younger club members, including glasswork and cabochons (children over the age of 12 are allowed to operate machinery if supervised by a parent). There is no better time to tour the Club than on Exhibition Day, when most of the workshop officers and the Club President are available to answer your questions. 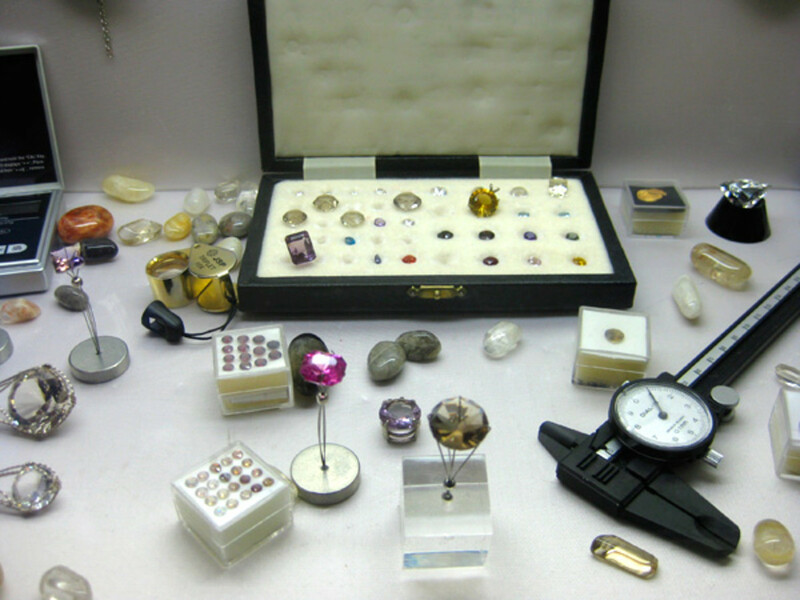 You can find out about all of the inclusions of membership, such as being able to use the Club equipment on workshop nights or meeting the knowledgeable teachers who can help you create beautiful gemstones from rough rocks. 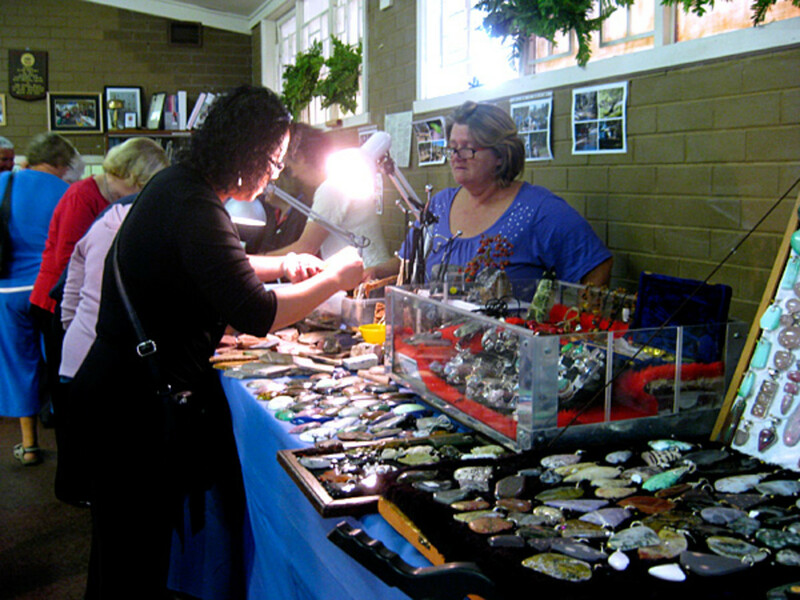 Demonstrations at the exhibition show the public how to facet gemstones or make cabochons and in previous years there have been silver smithing and wire wrapping demonstrations. 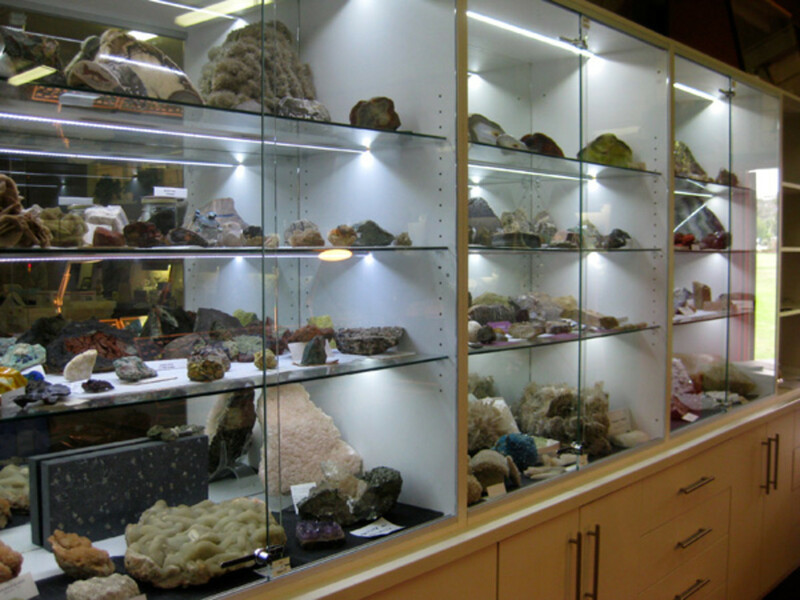 The demonstrators ask that you bring all of your mysterious rocks and questions to the exhibition as it’s the one day they will be able to assist the public with questions (the rest of the year, they are too busy working in the Club). 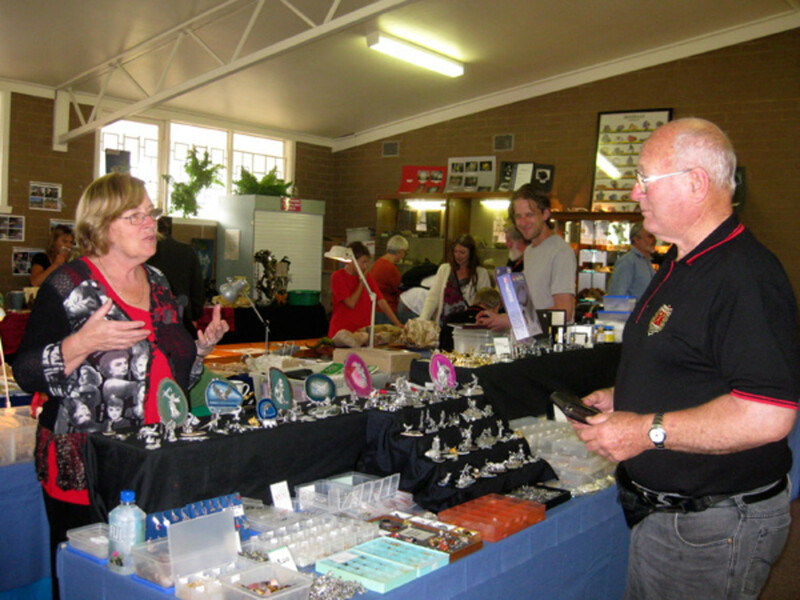 At the exhibition, traders and club stalls vary each year, but you can be guaranteed to find affordable roughs, gemstones, equipment and jewellery! 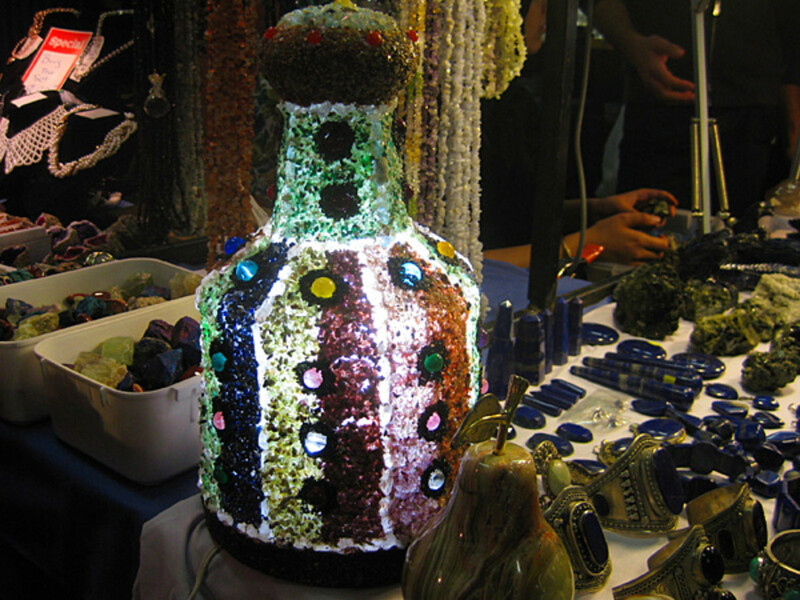 This year, traders attending included Des Liston Lapidary Supplies (well known for a large range of lapidary equipment), Vic and Sehire (new traders with a large collection of lapis lazuli for sale), Vin and Nola (lots of fascinating specimens at good prices), Mariana Stokes (enviable, high quality gemstone pendants that make you want to buy them all), Margaret Holmes (our field trip officer offering found roughs and gems) and Lyn and Chloe (affordably priced gemstone novelties and jewellery). 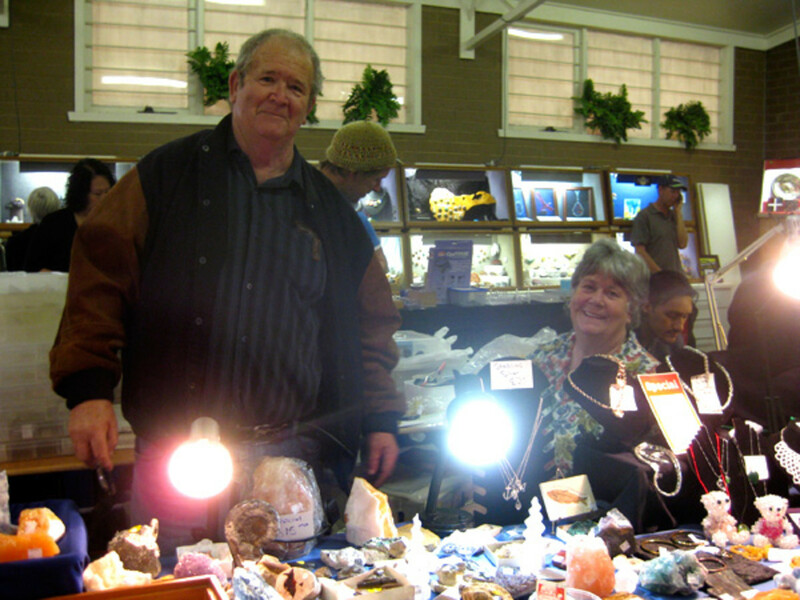 Vic and Sehire had a great novelty gemstone lamp on display and Vin and Nola offered many unusual and top shelf mineral specimens at good prices. 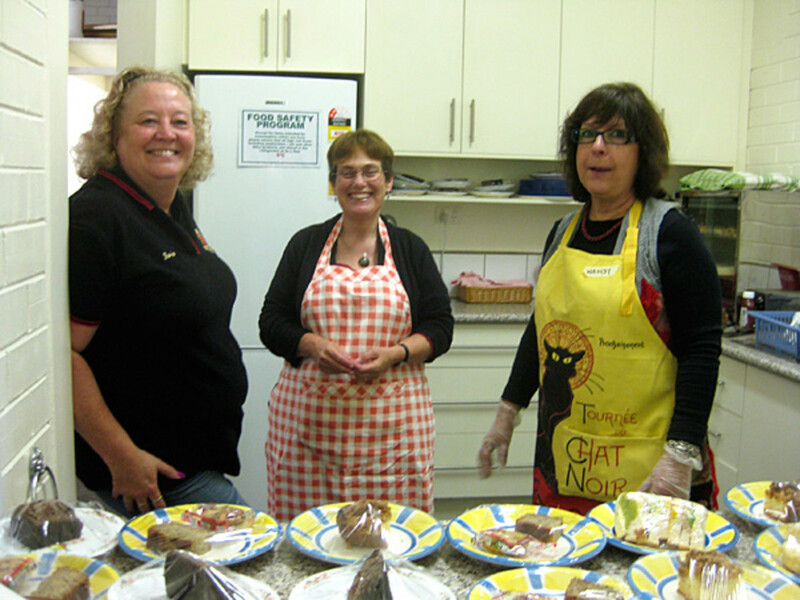 The Essendon Gem And Lapidary Club is famous for its delicious homemade food, as well as Devonshire Teas available at the exhibition. 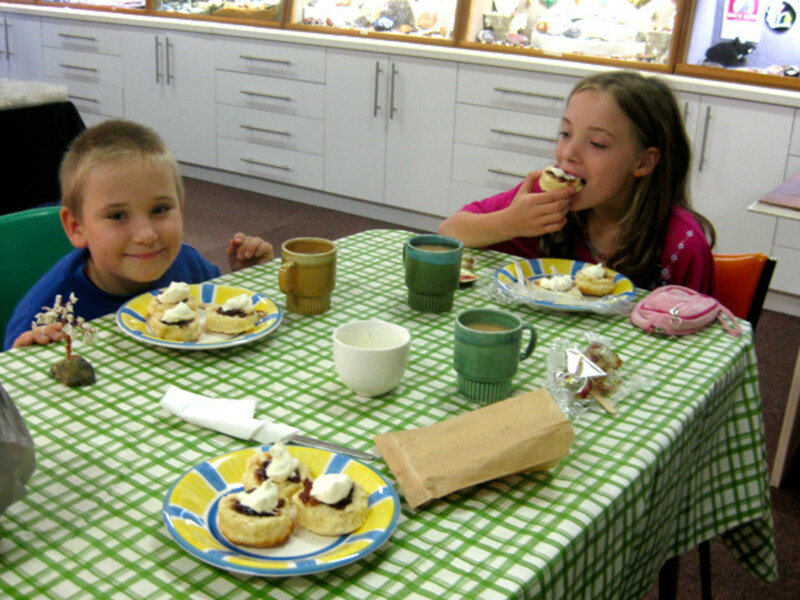 Treat yourself to the best scones around, enjoy homemade sausage rolls and cakes and have a cuppa with all these funny, friendly people who will happily share their fossicking adventures and gemstone knowledge with you. 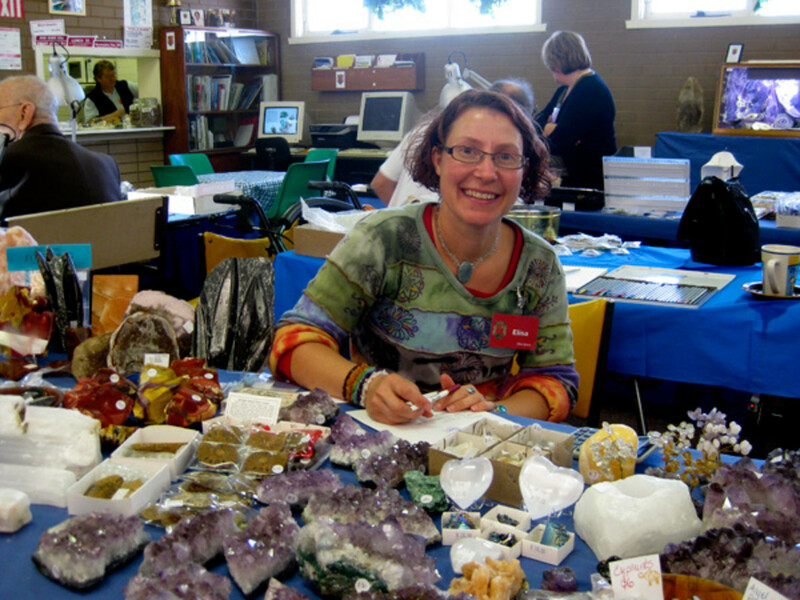 If you like rocks, minerals and gems, the Club is an interesting place to learn lapidary skills, such as rock cutting (cabochon making), gem faceting (making your gems look like jeweller’s stones), silver work, glass work and fossicking trips where you can go with Club members to find gemstones. 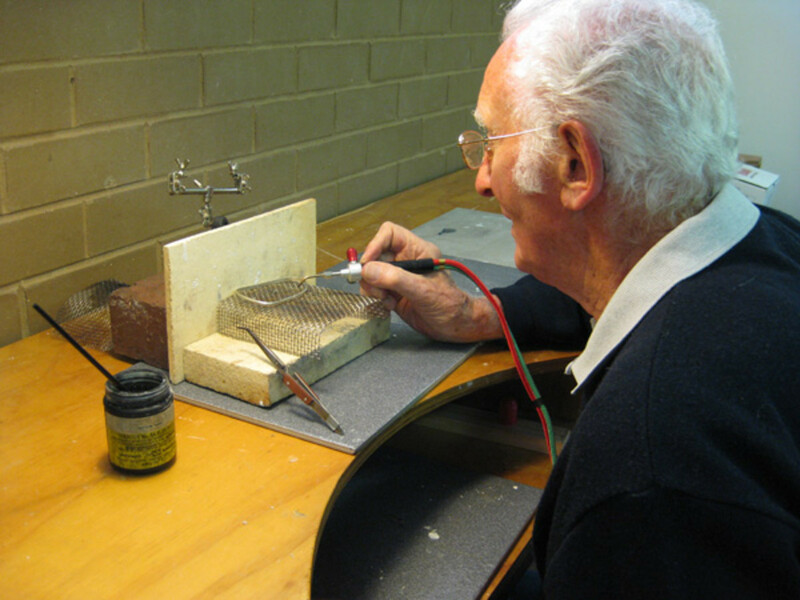 It doesn’t cost very much to join (about AU$42 per year for an adult and children are free until the age of 18) and equipment and some rough is provided for you to start learning lapidary right away. 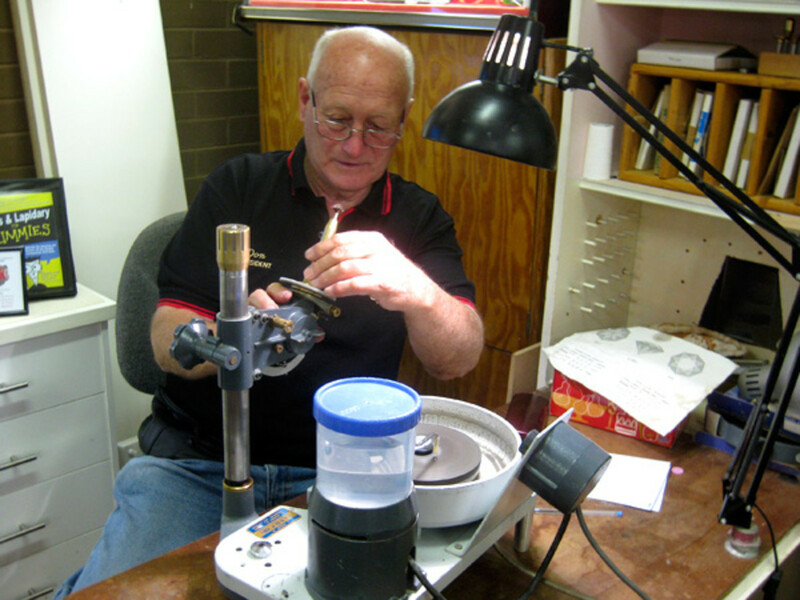 All of the workshop officers are experienced and enthusiastic Club members who’ll teach you everything they know about lapidary. 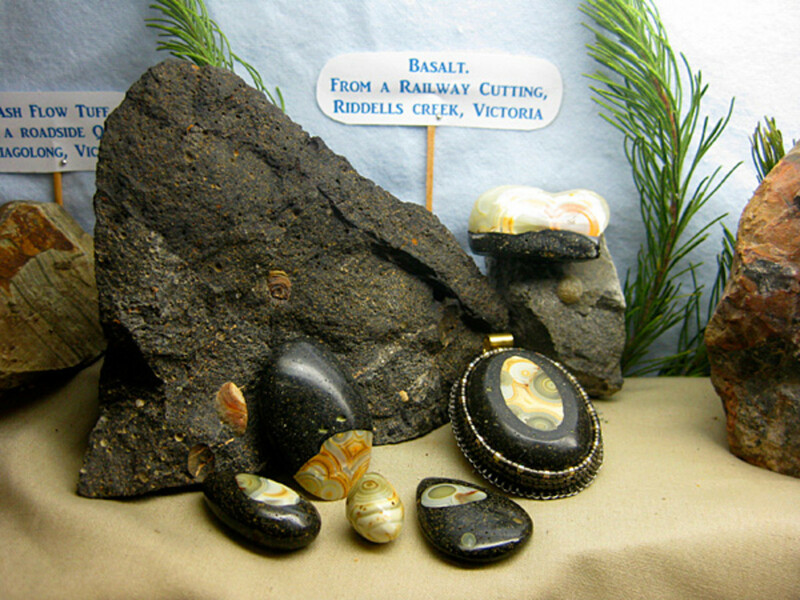 For more information on exhibition dates, of if you are interested in joining the Essendon Gem And Lapidary Club, please visit the website. 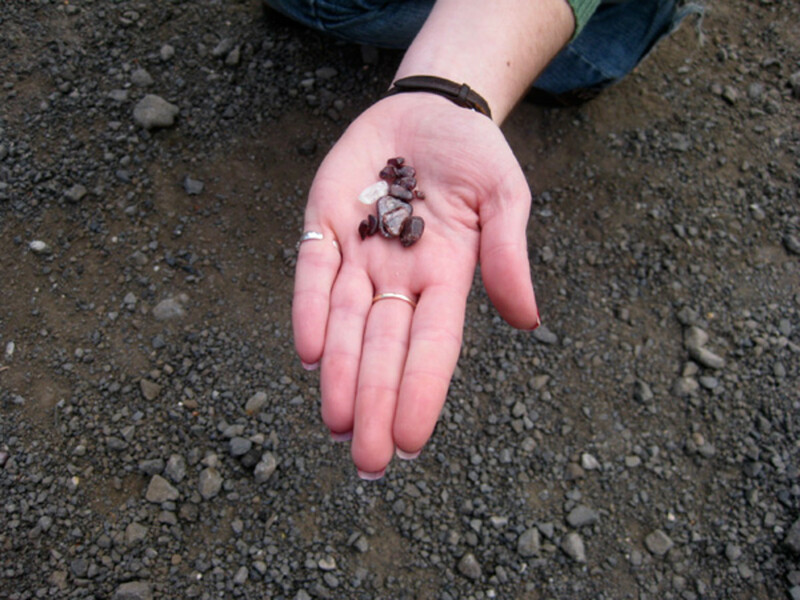 Are you a Rockhound or Lapidary Hobbyist? 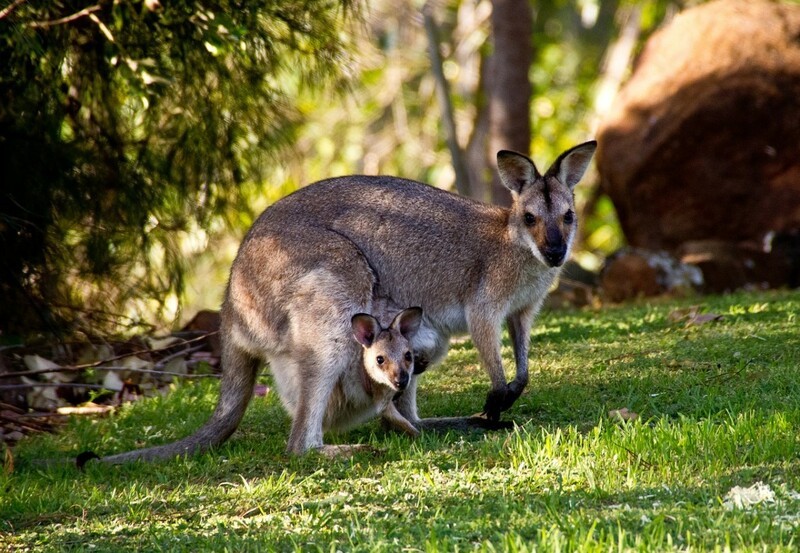 Planning an Australian Vacation: Should I Visit Brisbane or Sydney? 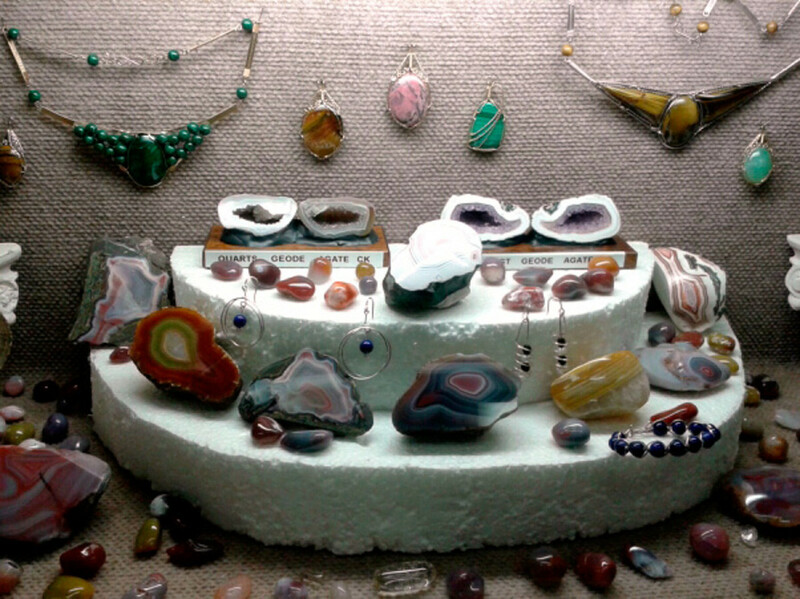 I could look at gems all day long and let creative ideas flow. Certainly I would have to buy some to make jewelry with. Thank you all for your kind comments. 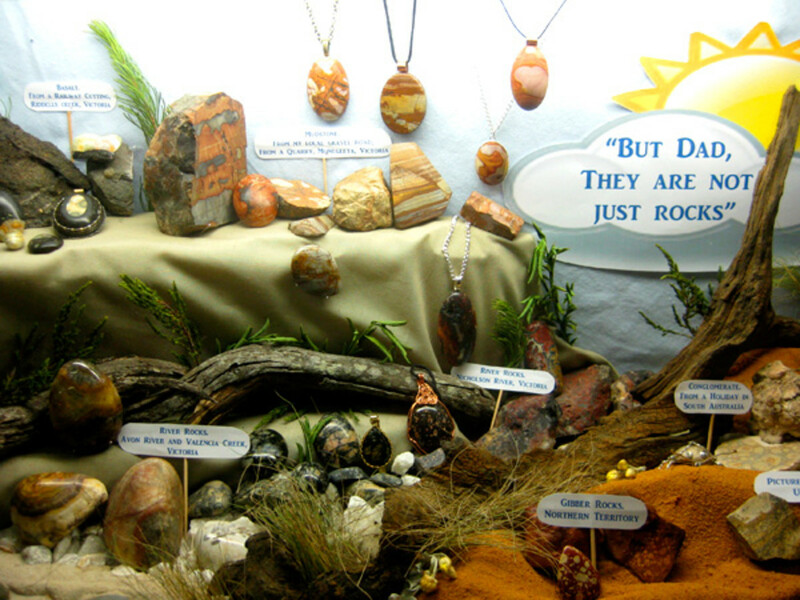 Yes, lapidary is a down-to-earth sort of hobby and at the Club, we often joke that we rock on and have rocks in our heads! 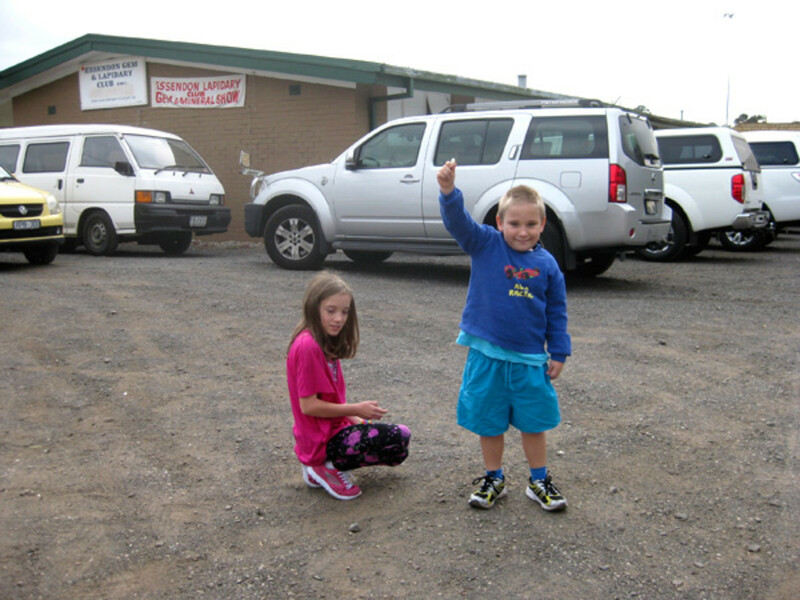 The annual show is a great outing and the people at ELC are just fantastic. Very interesting, Suzanne. I look forward to your lapidary hubs, knowing nothing of the subject myself. 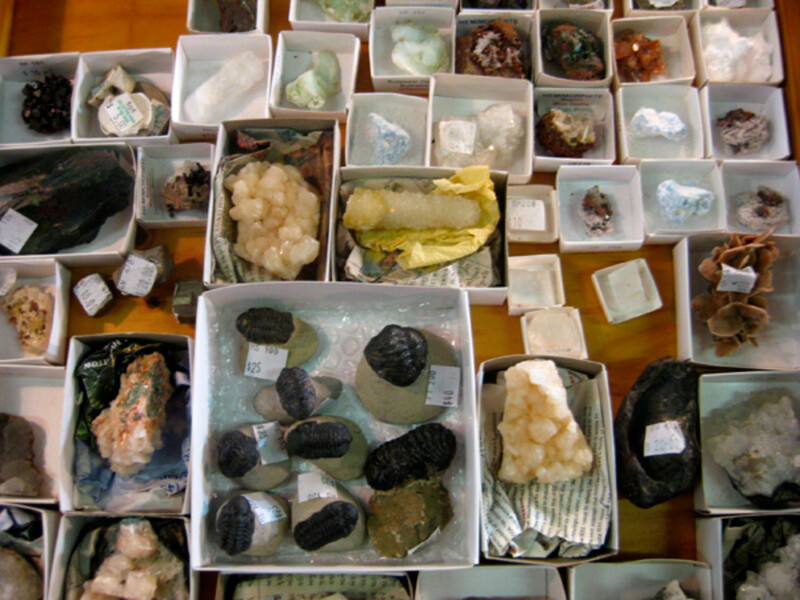 My husband had an elderly uncle who used to be a hobbyist in this area and would spend a lot of time showing us his rocks and gems when we visited. I'm not sure we learned much, but we enjoyed the time he spent with us and still have some of the large geodes and other stuff he left us when he passed away.